Cavity dimensions are 7/8" x 1 15/16". Cradle your precious macarons within the meticulously beveled cells of this twelve count macaron tray. Macarons are a proud and stately delight, they deserve some coddling in the macaron packaging department. 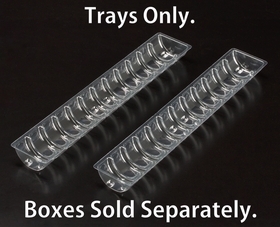 These trays were designed and refined to work perfectly with our macaron boxes. The clear smooth material is created from recycled bottles but with the clarity and polish of virgin stock. Is this sold as a set (1 top and 1 bottom) as one piece? Hi Paulette, That’s a great question. In the case of 100 you get 100 pieces. 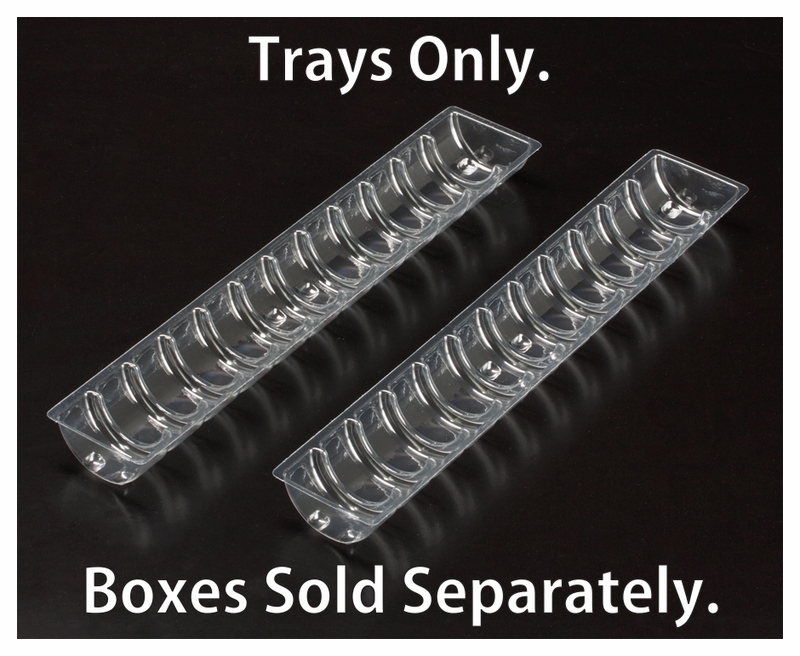 If you decided to use the trays as lid/base sets…from those100 pieces you could make 50 lid/base sets.